At our first Club Meeting in the 2012-2013 year, we welcomed a new arrival : the Home Club Banner for the District Governor of District 5360. Our own Fran Leggett is the very first female Governor in the history of our District, and she is well-prepared, well-versed, tuned-in, and totally dedicated to serve our District this Rotary Year. 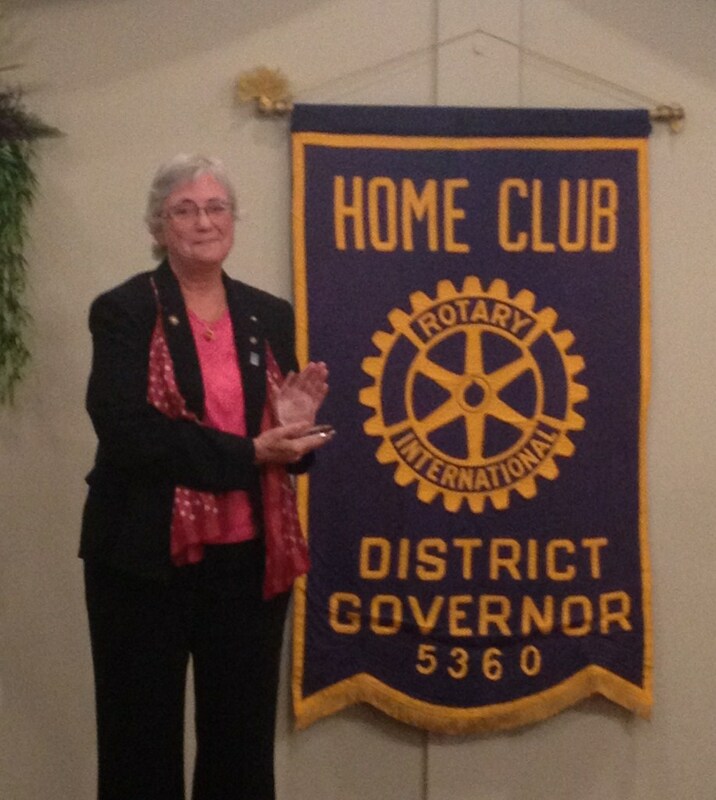 Since Fran joined our Club in 1997, she has applied her organizational skills and has become immersed in Rotary. She has been instrumentally involved in large-scale projects including the Lethbridge Rotary Dragonboat Festival, and the Waterton-Glacier International Peace Park etablished by Rotarians in 1932 (currently serving as President). Fran's vocation is Electron Microscopy. In her research at the Lethbridge Researcy Station she is scoring successes in advancement on agricultural "bug control". DGFL = District Governor First Lady / Fran Leggett has already dedicated countless volunteer hours to District programs and innovations in the past years. This year she will visit all the Clubs in the District, and our District Conference Committee (Chaired by Dr. Glenn Coulter) is well under way with the planning of the Conference here in Lethbridge on May 3-4-5, 2013. Click District 5360 site to visit the District website.